You got the best content on the planet and you’ve published it on your site. But, still you don’t have enough Viewers. What is Lacking? It’s Search Engine Optimization (SEO). 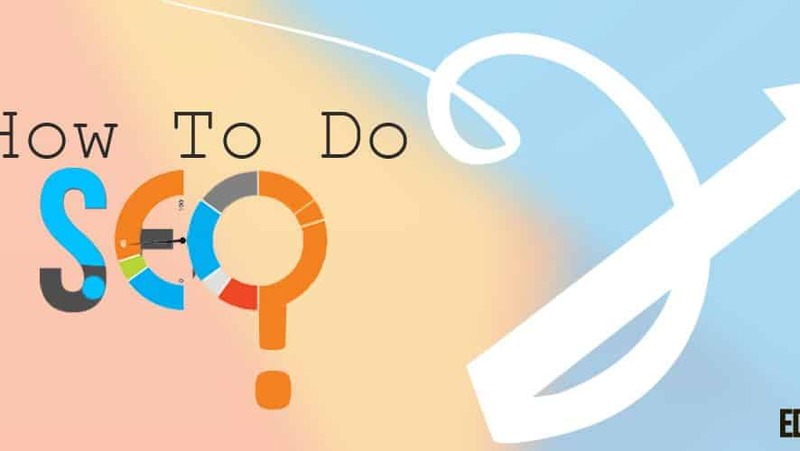 We have listed out some of the major things in SEO that people tend to neglect in Optimizing their sites for Search Engines. For the effective digital marketing services SEO is the most important thing now a days because if you do it correctly then you will find clients who are searching for the related product or services of your online business. Keyword Research is an important tool for the Search Engines to Find your Website. It is important that you should know what people are searching for on the Google Search Engine. It is important to have Keywords in your Post/Page Title, URL of the Post/Page and the Meta Description. However, you should avoid Spamming Keyword within the post/page. Ensure that keyword is located on perfect locations preferably at the start of the Page and also at the end. You might have several pages in your website/blog. You may also want to have an extended URL for a particular page/post. Now, if the extended URL is a multi word string then how do you separate it? There is no space allowance. The recommended method for this is to use Hyphens as the first priority. Second, you should use Underscores (only if you don’t want to use Hyphens). These are probably the best ones for the Search Engines to Crawl your Website/Blog without any issues. Backlinks are the ones that divert the Search Engine Crawlers to your site. You must have numerous back links on different sites that have relevant content that your website has. These are generally known as Inbound Links. Such links help you to get a higher rank on the Search Engines. However, you should also make use of Outbound Links for the Search Engines. These links helps you for strong online brand promotion of your website name or product when you put links of your website on other sites. SEO is the secondary thing. Content is still the primary. You must have an excellent content and material on your site for the Users to find it interesting and that makes them to return to your site. There’s no use of getting Google Page Rank 1 while your site doesn’t contain good content. It will not make the target audience stay on your blog for long. Remember, Content is for the User and not for Search Engines. For the Users to stay on your Website for long and return to you site, it is important that you have a great design which actually interacts with the user. Also, there are many paid and free themes available in the market where they have an in-built SEO reforms which helps your site to rank higher and perform better. It is important for your website to have the minimum loading time. Statistics show that Websites with Page Load Time of more than 5 seconds prevents the user from coming in again. There are several tricks to reduce the page load time. You must use images with a .png format where possible since it has low size. Statistics shows that more than 50% of the Internet users are accessing through mobile phones. It is therefore very important for a site to have fonts and designs that support Mobile Browsers. Thus, always go with a Theme that is Mobile Responsive and is as much interactive in Mobile Environment. Social Media is one of the most important methods to generate excellent and bulk traffic for your website. Facebook, Twitter, LinkedIn, Reddit, Quora and other such sites can be useful to drive large traffic to your website. You need to be active on Social Media Platforms so as to keep in touch with the target audience and make them visit your website. You should link relevant content links of your site within your pages. Suppose you are working on an article and you have already published a basic article on that particular content before. You must include such links within your page so as to divert the users to another page of your website which also gives them more knowledge. Nowadays, Search Engine Optimization is a little easier with the advent of Plugins that automatically perform SEO for you. One of the best plugins that are available is WP SEO by Yoast. Its available as a Free Download. However, you can purchase it for Premium features. It is very important to have a relative meta description within your HEAD Tag of the page. The Meta Description should be similar and relative to the Content of the Page/Post. It helps the Search Engines as well as the Users to get a brief idea of the content of the page. Not so necessary, but good to have a Sitemap for your website. It is a page that lists down all the pages and post that your site consists of. It helps the Web Crawlers to crawl the Sitemap and index the posts and pages of your site. It is always better to stay one step ahead of your competitor. Before, someone else makes use of a particular keyword, it is a golden thing if you find out that keyword first so as to drive the users to your website only. You can use Reddit Platform to discover untapped keywords. Alternatively, you can use the Google Keyword Planner Tool to find some. It is very important to interact with the Users/Visitors of your website.There’s no use if a Visitor comes on to your page. Reads it and goes. Sometimes, they may comment for a doubt or appreciation. It is important that you reply them back in the comment section. This helps you to develop a relationship with the visitors and also a sense of confidence and understanding with the visitor. There are several ways to optimize your YouTube video to get a Higher Rank. Youtube doesn’t have much restrictions on the Description. So, you can include a short note about yourself and your website. Also put forward it in the comment section. This would let the YouTube viewers visit you site for more information. For the better social media optimization there is strong need to do SEO for You Tube videos. Always remember, the Content that you are publishing is for the Visitors. So, have a nice design and style of writing it which would let the users stay onto the page and read the complete content and also look for some more of it. It is not the Search Engines that you need to please. You should please the Users which will definitely get you Higher Ranks on the Search Engines. You should optimize your page effectively for Design Templates. You should include Italics, Bold Fonts where necessary. You must include H1 and H2 Tags for Headings within the page. It is important for any viewer to find the Webpage interesting enough to stay with your blog. Moreover, search engines look forward to these Tags for ranking and to identify the relevance of the content and the title.